Back to dorm? Gibson Home Landon 7-Piece Stainless Steel Cookware Set – $31.46! Micro Vacuum Attachment Kit – 7 Piece – $8.88! Gibson Home Landon 7-Piece Stainless Steel Cookware Set – $29.72! 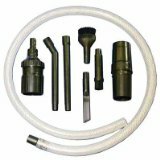 Micro Vacuum Attachment Kit – 7 Piece – $7.19! Micro Vacuum Attachment Kit – 7 Piece – Just $12.96! Landon 7 Piece Cookware Set Includes 4 Quart Dutch Oven With Lid, 2 Quart Sauce Pan With Lid, 1 Quart Sauce Pan With Lid, 9.25 Inch Fry Pan!